If your term insurance contract refers to your premium as "guaranteed" for the duration of your policy, then the insurance company is contractually obligated to keep your payment the same until the end of the term. They are not permitted to increase your cost. If your term insurance contract refers to your premium as "non-guaranteed," the insurance company can increase your rate to the maximum permitted by your state's laws. Some term policy contracts have clauses that guarantee your premium for the first several years, then remove the guarantee for the remaining term of the policy. Most life insurance policies have a guaranteed death benefit. Your term insurance policy should refer to your benefit amount as a guaranteed sum that will be distributed to your beneficiaries after your death. This wording in your contract protects your family and prohibits the insurance carrier from reducing or modifying the amount of your coverage. Although rare, some term insurance contracts have clauses that allow the insurance carrier to reduce or otherwise modify the amount of your death benefit or the duration of your term. This could be a cause for concern, because the insurance company then has the right to reduce your death benefit or shorten the length of your coverage. Even though a term insurance company may have the contractual means to increase your premium or reduce your death benefit, the realistic possibility of such an occurrence is minimal. 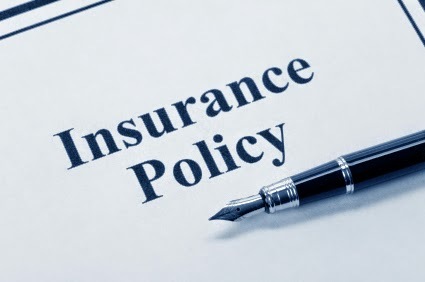 In order to increase your premium, the insurance carrier must petition the state insurance department and demonstrate a legitimate need for such an increase. Additionally, premiums would then have to be increased for all policies, not just a few select ones. What most companies choose to do instead is simply increase term insurance rates for new customers. 1855 Term Life Insurance: What's the Difference Between Guaranteed and Non-guaranteed Premium?